Fantastic Duane Dwyer Custom Tanto Blade tactical folding knife. 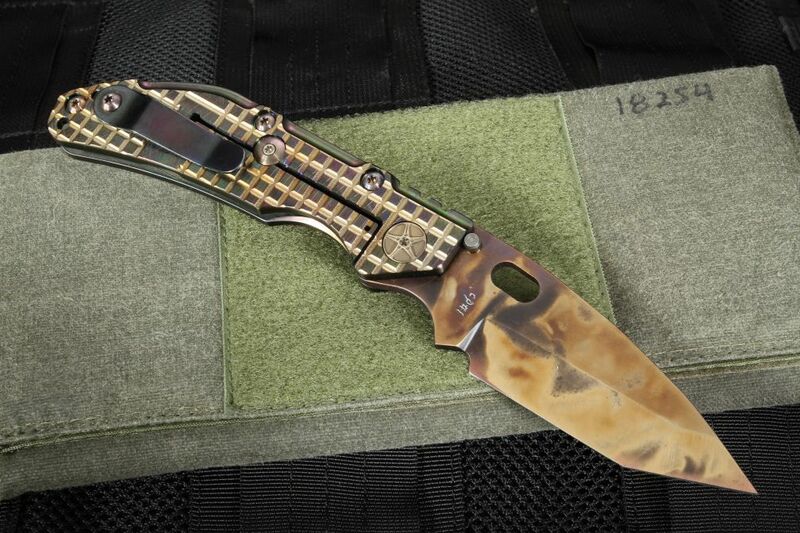 The blade is CD#1 steel that has an antique finish. 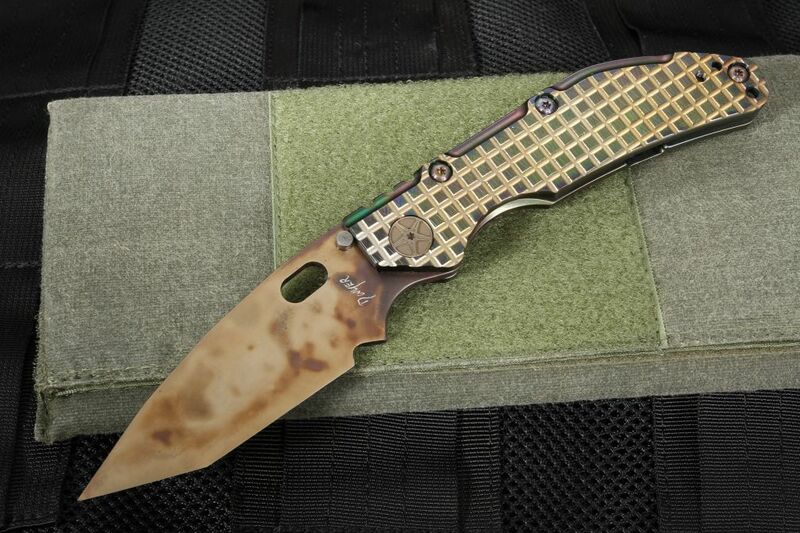 CD#1 steel is known for being one of the toughest blade steels to exist. The blade is chisel ground on one side with a hollow grind. 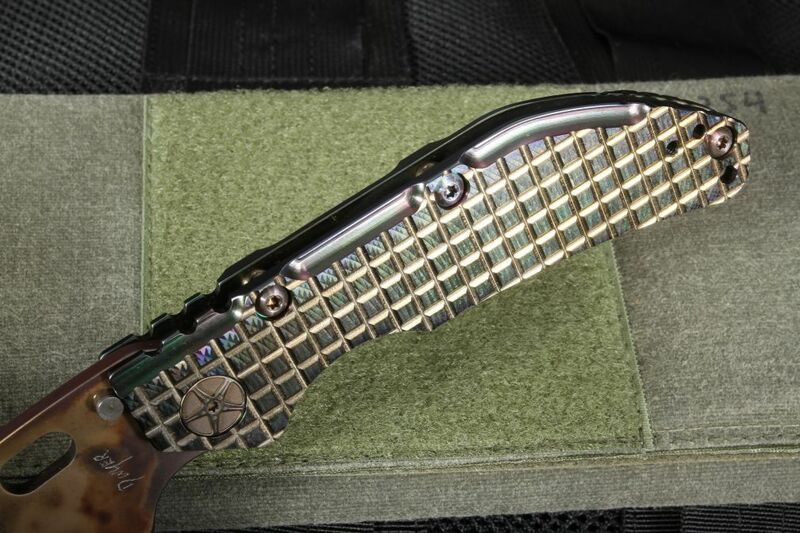 Tanto blade shape is perfect for piercing. Blade features dual thumb studs as well as an oval hole opener for easy right or left-hand operation. 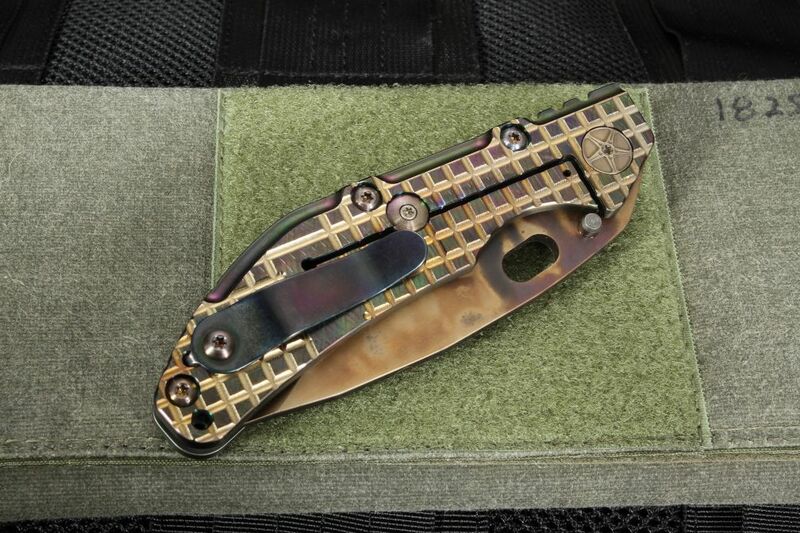 The handle is aerospace grade 458 titanium with a multi-color heat transformed iridescent finish. 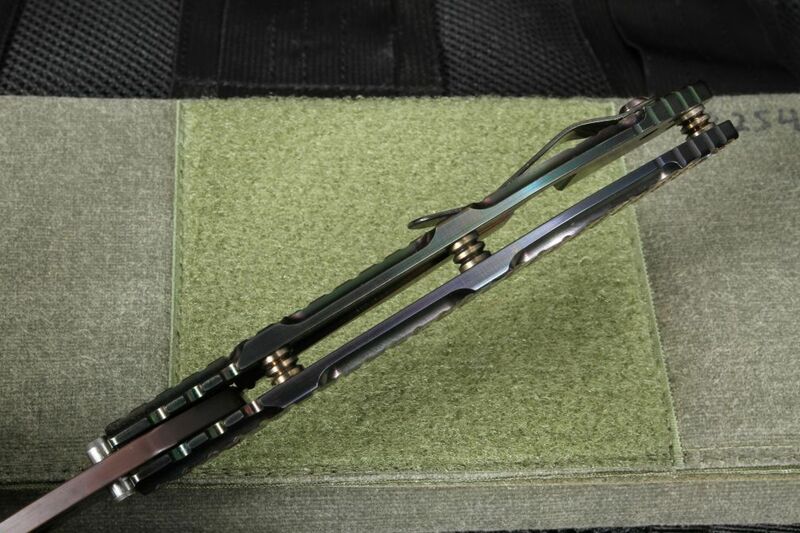 Machined frag pattern finish on the handle flats. Jimping on the thumb rest of the handle spine. Lanyard hole in the rear of the handle. 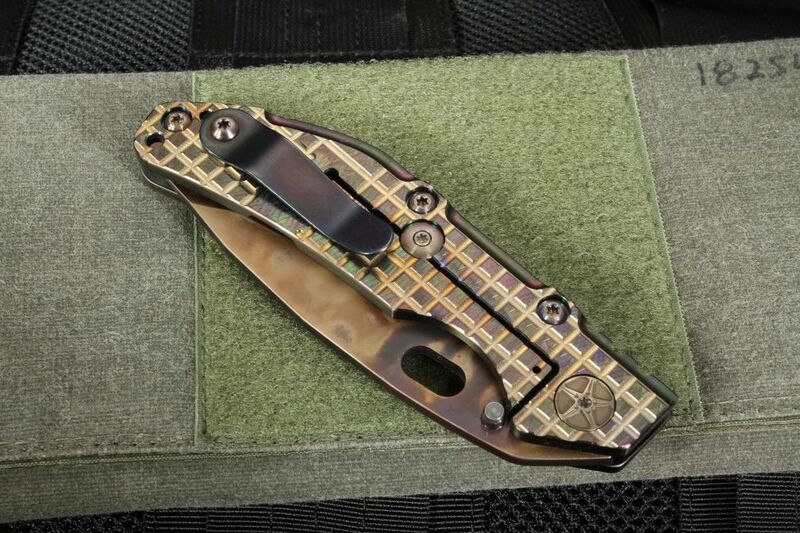 Heat transformed titanium pocket clip can be mounted for right or left pocket carry. Handle features a lock bar stabilizer on the frame lock. 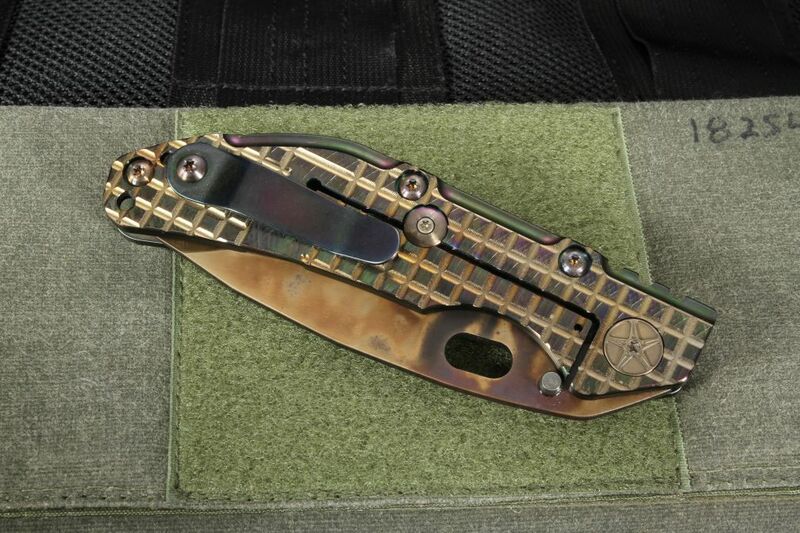 The titanium pivot, screws and spacer pins are all heat colored to match up with the handle.